figure 13-12 Model describing the steroidogenic actions of FSH and LH on the ovary. Modified from Siiteri, P. K., and Febres, F. (1979). 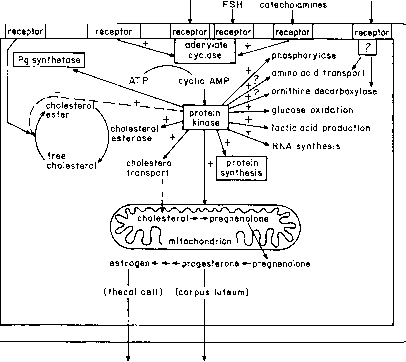 Ovarian hormone synthesis, circulation, and mechanisms of action. In "Endocrinology" (L. J. DeGroot, G. F. Cahill, L. Martini, D. H. Nelson, W. D. Odell, J. T. Potts, Jr., E. Steinberger, and A. J. Winegrad, eds. ), Vol. 3, p. 1405. Grune & Stratton, New York. Table 1-5. As noted in Figure 13-14, the ER has two nuclear localization signals inherent in its structure. figure 13-13 Summary of pathways of steroidogenesis of estradiol, progesterone, and testosterone (limited quantities) by the ovarian follicle (theca interna cells and granulosa cells) and the corpus luteum. 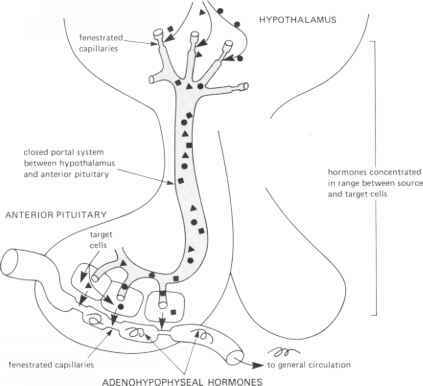 Figure 13-2 describes the morphological changes occurring in the mammalian ovary that are necessary for the formation of a mature follicle (major source of estradiol) and after ovulation the generation of the corpus luteum (major source of progesterone). Visceral organs Liver Kidney Lung described in Figure 13-15, the binding of estradiol to the ER facilitates the formation of an ER homodimer, which then binds to the hormone response elements (HRE) located on the promoter of the gene so as to generate a functional transcriptional complex. TABLE 13-5 Temporal Actions of Estrogens in the Rat Uterus"